Is drawing the minds greatest healer? Ever have a rough, stressful day and you can’t get your mind off something? Well, there might be a solution. If you haven’t already, you should take up drawing. When you draw there are no wrongs or rights, just unique pieces of you, defining who you are. So whether it’s painting, sculpting, sketching, or drawing, you can put your mind at ease, simply by putting your hands to work with art. The Grammys are an award show celebrating the “most talented musicians” in society right now. It happens annually on February the 10th; this year it will be the 61st time of the show. The Grammys have been the main organization that celebrates giant music artists. Over the last couple of years the Grammys approval ratings have went down significantly and have been under lots of scrutiny for being biased against certain artists because of race, religion, gender or popularity. Many artists would love to be nominated for Grammys but less and less celebrities are wanting to even attend the grammys as a boycott or protest at them, some examples are Justin Bieber and Kanye West. Even more might do it this year. A lot of people still enjoy the Grammys though. Rainey Campbell said “I really love watching the Grammys and I want my girl Cardi B to win this year, I don’t think people should care so much about it,I just watch it for fun”. This girl still has faith in the awards show and Many other people are agree with the grammys and their choices on those who wins. Either way you may think between the grammys be rigged against certain minorities or less popular people, vs, the grammys being perfectly fine and fair. However, there is a middle line, and what is the best solution to this is for the grammys to actually share with the public their rubric on decision making process on how winners are chosen. That would clear up lots of confusion and make people like the show a whole lot more. The spring musical for this year is Singing in the Rain, a timeless jukebox musical. But is it really all that? This is a review of Singing in the Rain, written by a hopeless pessimist. Most of the characters aren’t my favorite, and this next paragraph’s just a diss track for those people. Don Lockwood is a popular actor who loves dancing and singing. In my opinion he’s a creeper and skeeze, with a gigantic ego. He pushes his weight around on more than one occasion, and thinks that he’s the boss of everyone because he’s a movie star. Then his costar, Lina Lamont. She might be beautiful, but her squeaky voice and walnut sized brain make her obnoxious. However, she might be dumb, but she’s pretty devious. She knows exactly how to get what she wants using trickery and blackmail, even though she doesn’t have enough common sense to help her keep it. Kathy Selden is beautiful and has a fantastic singing voice, but it’s too bad she’s too far up on her high horse to be an interesting character. In the beginning she’s saying how she doesn’t like the movies because they’re all the same, and how the only real art form is acting and how she’s going to be in a play just to interest our very own Mr. Lockwood, when really she’s working as a Coconut Grove girl, and when that doesn’t work out, turns to acting. What a hypocrite! But there are parts I like, too. The set during the song “You Were Meant for me” is incredible. The colors, and the flying dress, and the mist! All of it comes together perfectly. Cosmo’s character as comedic relief, and possibly the only good, funny character in the movie. Lina and Zelda’s friendship where they hype each other up, and make sure the other know of any trickery that may be going on, and spilling tea in the dressing rooms. 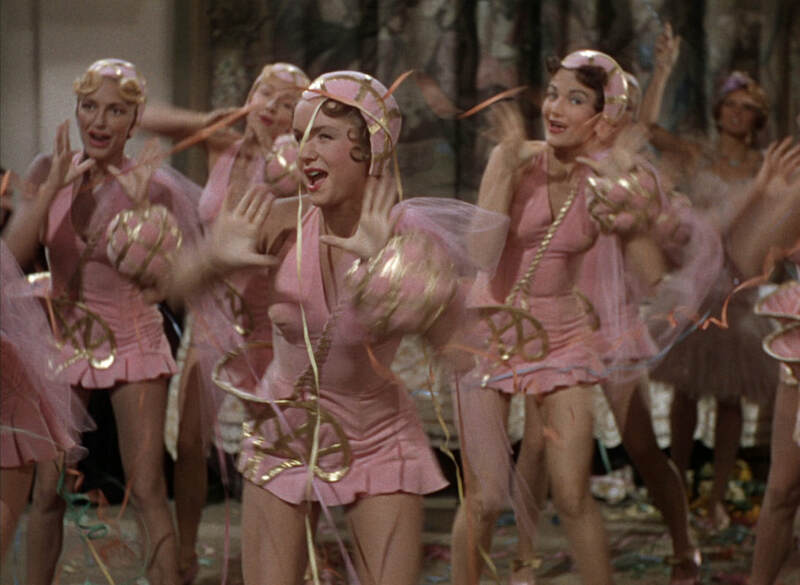 Overall, Singing in the Rain is a movie with good parts and bad parts, just like any other. But overall, I just can’t give it a negative review. At least, not while Cosmo’s making ‘em laugh. 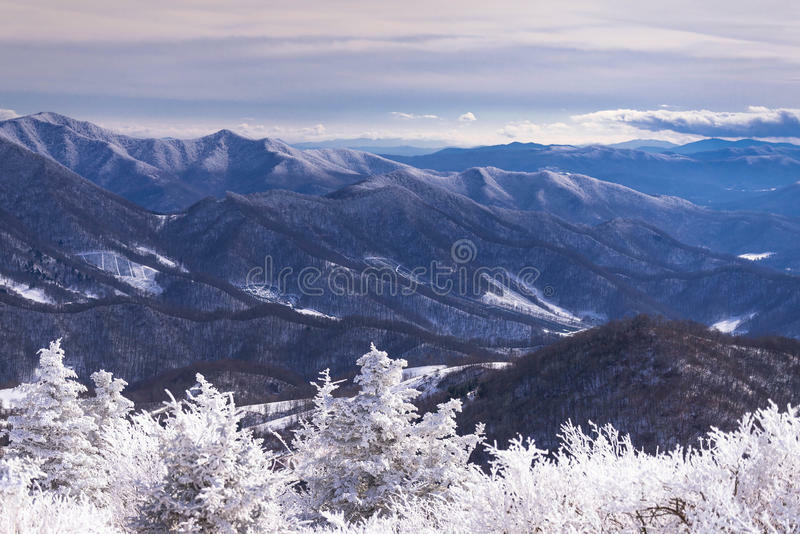 Asheville, a magnificent winter destination. Those native to this mountainous land often become acclimated to its inherent beauty, they develop tolerance to the land’s superb natural appeal. 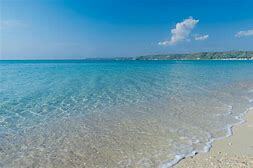 It’s a pity to those whose habitual oblivion have become ignorant to this land’s beauty. The winter time, however, offers a stark contrast to the rest of the year’s familiarity. Snow capped mountains pop at the eye, rather than humbly stray in the background. Frigid conditions slow the hussle and bussle of life, giving nature a chance to settle and relax. As mother nature’s more harsh touch envelopes this land we begin to realize our own subjectivity to her conditions and temperament, we realize both her strength and her beauty. It is at this time where the image of humanity we have spent so long constructing is at its most fragile, forcibly subject to nature’s undertaking, those with open eyes use this time to reflect on their conflicted belonging. To who do I confide, to nature or to humanity? Questions of reality are sparked by the changing climate, and sentiments tend to run high in this time of harsher conditions. We begin to realize the success of our own survival, we begin to appreciate every ounce of life for its persistence and will to succeed. We see this first in nature, and then within ourselves. We realize the futility of life, for nature’s ability to so easily condemn it to eternity, and for this we become grateful. We realize the need for thanks and gratitude, we realize the love we so often bottle up is useless with death so near, we realize our own futility and for this we give thanks for what we have, for this we love and hold our families closely, for this we profuse sentiments of jolly and greet each other like siblings. So please, let winter’s harsh grasp show us a little about ourselves. Let winter’s harsh grasp force us to love one another. Let winter’s harsh grasp show us the more important things in life. And of course, have a happy holiday! For me, baking is a huge stress reliever, and sharing it with people I love is something very close to my heart. I love watching their faces as they bite into a baked good and taste it for the first time. So I decided to try and bake something I’ve never made before, rate the recipe in terms of simplicity, how well it worked out, and what the student taste-testers thought! Since I’m a huge fan of chocolate, I decided to make something I have eaten before, but not ever made: Oreo Balls! The recipe looked easy enough to follow; after all, there were only 3 ingredients: oreos, white chocolate, and cream cheese. But as I got into it, I realized that I was not prepared. The recipe was wrong about how many oreos were in a standard package, and I didn’t have as many as I needed. It said I should save 9 crushed oreos to sprinkle over the finished truffles, but I didn’t have that many, so I just had to skip that step in order to have enough to finish the main part of the ball. My next screw-up I’ll admit was my own fault. I forgot that I had to soften the cream cheese before mixing. With that little mistake, I made a lot more work for myself. Another thing was that it told me roughly how large to make the balls, but gave me no way to make sure that the sizes were correct, so all of them ended up being different sizes. My last complaints are with the chocolate melting and dipping- and I have a lot of complaints. The amount of chocolate I needed was over double what the recipe called for. It was lucky that I had enough on hand at my house to fix the recipe. Another thing- it didn’t give me any tips on how to melt and dip! I’ve watched enough random baking videos to know that usually you use a double-broiler, so I guessed that was how to do it, but it didn’t work great. The chocolate wasn’t melting correctly, and dipping was a nightmare! The balls weren’t holding together and I couldn’t get that pretty, smooth, sheen like shown in the pictures. One last note- it didn’t make anywhere near as many balls as the recipe promised. Overall this recipe was a nightmare- that, or I’m just a bad baker! Two people who tried it didn’t like it. Shae Austin says, “Yeah, no. I don’t like it.” When I asked her why she explained “I just don’t like chocolate.” Allyson Ray says, “White chocolate makes me really sick.” Well, I understand those arguments, given that the whole dessert is pretty much just chocolate. 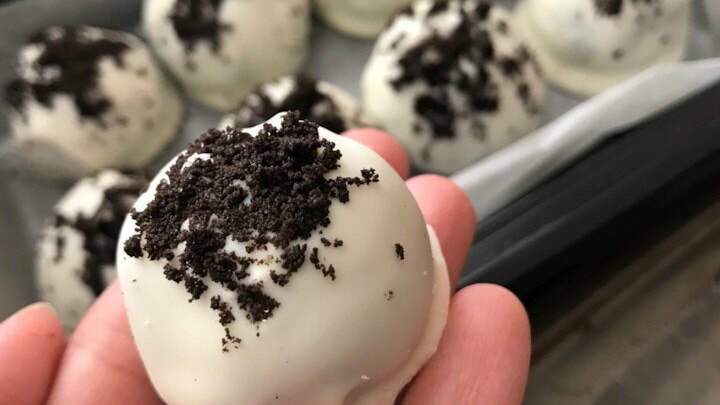 So overall, oreo balls taste really good, and are a 100% make again, unless you are the one who has to make them. This recipe is rated an 9.5 stars for taste, but about a 2 because the recipe was a pain to follow. Overall notes for the recipe! Chill the balls before dipping them in chocolate or they will fall apart. Maybe buy a pack of mini-oreos to crush if you really really want to do the crumble on top. Try microwaving the chocolate in 15 second intervals instead of using the double broiler. High school is a time for learning and experiencing new things. During the four years we spend at Reynolds, there are many events we find ourselves lost for a solution and yearning for advice. To try and encourage the acceptance to speak out and ask for help when it is needed I’ve made this advice column where those with questions may ask anonymously and I will try my best to respond in the most helpful form. I have so many expenses with gas money, food money, and saving up for college that I don’t really have very much money to freely spend but I really want to take this girl out on a date, can you help? Dating in high school can be difficult for various reasons, one of the biggest is money issues. It’s hard to save up when there’s so many things you want to spend it on. Dates don’t have to be one of those things though. Options like going on hikes, having picnics in parks, or even just meeting up downtown and walking around, give you a chance to still feel romantic without emptying your wallet. There’s this guy that I started liking that really hurt me, but I can’t stop liking him no matter what I do and I can’t get him off my mind even though he did me wrong. What should I do to try and help get over him? What your feeling is something that a lot of people struggle with, letting go of someone who has hurt you can be extremely hard to do. However just like all things it is not impossible and usually comes with time. Realizing that you are worth more than the person that has hurt you is a process that takes time. One thing that usually helps me is to focus on my friends and going out with them and spending time with them and putting in extra effort into school. I am new to the school and I’ve been struggling recently to make and keep friends, do you have any tips to help me? Making friends in a new school can be tough but eventually you will feel like you fit right in with everyone else. People usually tend to gravitate to a group of friends that they specifically spend time with and make plans with. Connections create friendships so try and say hello and build a conversation with everyone you get the chance to. It's important to keep a positive outlook and try and make as many connections as possible. As a new freshman here at Reynolds, I hear everyone being so worried about their high school transcript and making sure they have everything they need to get into the best colleges they can. What can I do to improve my transcript? To improve your transcript there are many things you can do, like join news clubs and even start one if you have an idea. Things like taking honors and advanced placement classes also help improve your GPA which colleges look at. Any extracurricular activities you can get be involved in always are a positive and show that you are an active participant in the community at school. Sports, clubs, band, chorus, etc. all help boost your transcript. Also things like volentueer work and jobs you’ve worked can help put you ahead when making your transcript. Once that fire starts...it won’t last forever. You must feed the fire. To start off you need to add twigs (can’t just throw a log on it or you’ll put out the fire). As the twigs burn, you add more and more. You’ll get to a point to where you can add sticks and even move up to logs As in the sticks being little actives like going on dates and moving in, and the log be marriage. The fire will be growing, getting bigger and stronger. This also applies to relationships! Once you got that little fire going you need to continue doing little actives and being together, or the fire will just die off. To have a successful relationship you need to continue to add new layers, as in going to new places and trying new things. Moving the relationship and getting closer can be looked as feeding the fire. Keeping a fire going can be easier in some places than others. If it is raining, it will be very hard to keep that fire going. If you start lacking or forget to add sticks to the fire it could die out. When having a fire, rain or wind can put out the fire, or can be hard to start a fire. The rain can be something that come up as family drama or having a heavy argument. OR the rain when starting the fire can be a bad relationship before. By having a healthy environment the relationship will flourish just like a fire would. When you get that spark you want to rush it and just go off and be in the moment. You need to stop yourself and wonder if you’re in the right environment and figure out how to keep the fire going. If the person you are trying to have a successful relationship with is trying to rush things and skip the levels then it might not be healthy and will not end up working. You need to slow down and go through all of the steps for a fire or relationship to continue and be strong. You need to sit and enjoy the warmth of the fire instead of rushing and missing it. Overall, it’s going to take effort and time to get that fire going, and this goes for both people keeping that spark going. When a fire is left alone and doesn’t have anything to burn. It will die off slowly and become ash. But after the fire goes out you can still get it started again. It will have an ember. This ember can catch back on fire easily allowing you to get that fire back and start. But before you do make sure to understand why it died off in the first place, and if you should get it start again. But of course, it will take two people to do this not just you. Sometimes after having a fire going something can stop the fire or one of the person can just stop feeding the fire. Leaving you all alone to get that fire going which won’t last for long. But you will get to a point to where you just can’t get the fire to start up again. No matter what you do you just can’t get it to start again, you can start over completely and try again when you’re at a point where the fire is just gone out for good than you should take a step back and try to understand why the fire didn’t last. What you need to do next you have a flame with someone. And grow from it. Because stronger and better to be able to make a better and stronger fire. So far, I've talked about how you can only have a fire with you and someone else. But you should always have your fire in you. Being able to warm you up and keep you going without relying on some else. Being strong and whole is very important. You should not make a fire with someone else if you are not a whole. If you do than just reply on that person and they must be your other half while still being whole. It will not last the fire. This goes with friends, dating, family, all of it. It’s good to understand how a relationship starts and how it can die off and grow so quick. How much work you must put into it. You can look back on this and understand what went wrong in past relationships allowing you to grow and improve you’re for the next fire you get going. Hopefully this truly helps you see relationships in a new way and helps you grow and improve yourself. Nikanna, Kassandra. Aigeopelagitika Beach Possidi Kassandra (7). Aigeopelagitika, 23 Jan. 2018. While many seniors are using this free time to experience their new-found freedom, others are taking advantage of this opportunity to earn some money for the costly years ahead. “I’ll probably be working mostly.” admits senior Logan Boeshore, “work and vacation most likely.” says senior Christian Welch. “I’m going to work at Target.” adds Emma Wilson. It seems a the student-athlete demographic may be exceptionally unique when it comes to summer plans. “Well, I’ll probably be reporting to Gardner-Webb for training this summer.” says Delaney Mccullough, who recently committed to playing D1 Volleyball for the Gardner-Webb Bulldogs. All in all, it seems the summer following senior year will be quite varied for Reynolds students. No matter what the plans are, it seems clear that each student has ambitious intentions on how they wish to spend it. 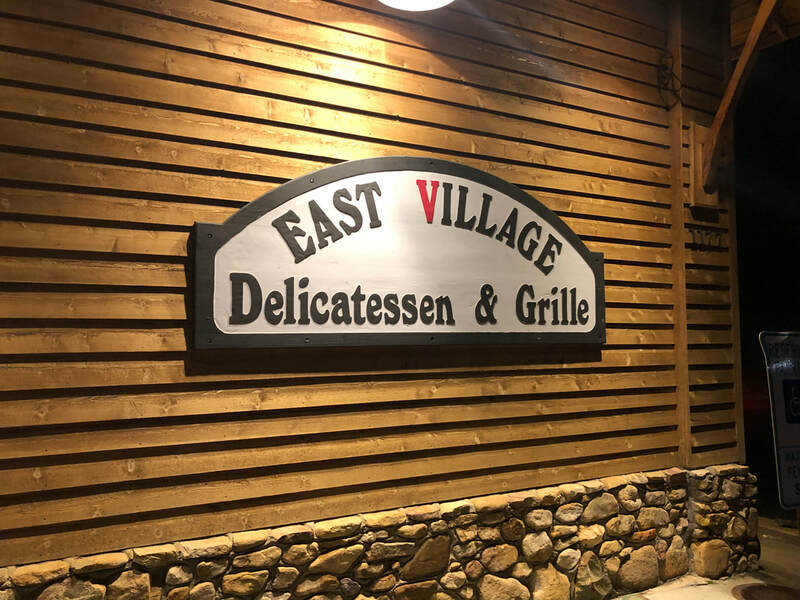 The East Village Grille located in Oteen shortly up the road from Ingles is a well known establishment for those living the the Haw Creek/Bell community. East Village has been open for over 25 years and seems to be loved and cherished by many, including some of the students here at A.C. Reynolds. The friendly waitstaff, calm and collective atmosphere, and variety of tasty meal options all alicit to its great success. While East village Grille has many wonderful menu options to choose from one item in particular is beloved by students: “My favorite item on the menu is definitely the Tiger wings because they are not like any other wings you can find in Asheville” says Oliver Pipin, a Senior. “I love the Tiger wings; they have such a bold and spicy flavor,” exclaimed Junior Caitlin Zorn. While the food may be a homerun success, other factors also contribute to students love for the restaurant. “The atmosphere of East Village Grille is one of my favorite things about it. When you eat three it feels like your eating at home” added Oliver. Further proving their commitment to the community, Oliver had a interesting story about the Grille. “One time me and my friend got stuck in a snowstorm, and to escape the weather we went to Evg (East VIllage Grille). They let us charge our phones due to the power being out everywhere else and seemed to genuinely care about our wellbeing”. The East Village Grille not only holds a special place in students’ hearts but in others hearts as well. Elizabeth Wright was a waitress at the East Village Grill during the early 90’s. She elaborated on how the restaurant has changed over the years. “When I first started working there over the summer the menu was a little different. I loved the Jr. club they use to have, but they took it off and replaced it with the triple decker” said Elizabeth. Besides some minor menu changes it appears the restaurant has always stayed true to its core values the owner of the restaurant has put in place. “Nick (the owner) use to always tell the staff to try and be as kind and caring as possible” said Elizabeth. The East Village Grille is truly a restaurant set out to serve tasty food that keeps people coming back and by all means is geared towards creating a family that is geared towards community.